Telemarketing services can increase sales, profits and customer satisfaction without increasing your staffing and training costs. Telemarketing is a proven and cost-effective method for selling products and services to a large target audience. Using a qualified list of prospects, telemarketing can increase sales, profits and customer satisfaction without increasing your staffing and training costs. Telemarketing services are defined as marketing and sales activities that can be performed by telephone. Examples include lead generation, lead qualification, appointment setting, telesales, cold calling, inside sales, telephone surveys, event registrations, political polling, market research, third-party verification and customer care. Services can be categorized as inbound, outbound, B2B, B2C or automated services. Individuals performing the outbound calling services are often referred to as telemarketers, appointment setters, survey takers, outbound call center agents, or market researchers. Individuals performing the inbound services are often referred to as call center agents or customer service representatives. Interested? Here’s how you can use it. Publish, display and mention your phone numbers in catalogs, direct mail, emails, faxes, print ads, on websites and in DRTV/radio spots to generate orders and leads. Cross-sell/up-sell callers to boost revenues. Make your CRM strategy gain results by presenting targeted offers to inbound callers. Learn more about Inbound Telemarketing Services. Call customers and prospects to sell products and services, generate and qualify leads, prompt them to visit stores and showrooms and set appointments. Give existing buyers heads-up on hot deals. Turn outbound customer care calls into outbound sales calls by cross-selling/upselling targeted offers. Also see our cold calling services. Learn more about Outbound Telemarketing Services. Use outbound B2B calling services to acquire business customers, qualify prospects and pass hot leads to sales reps and deal closers. Rely on inbound B2B services to qualify buyers for follow-up by your sales reps, close sales, process orders and cross-sell/upsell offers. Learn more about B2B Telemarketing. People depend on your outbound calling and inbound call handling programs to buy goods and services. Present attractive, targeted offers to prospects and existing customers with outbound B2C calls. Get the most out of print ads, DRTV and infomercial inbound calls with cross-sells/upsells. 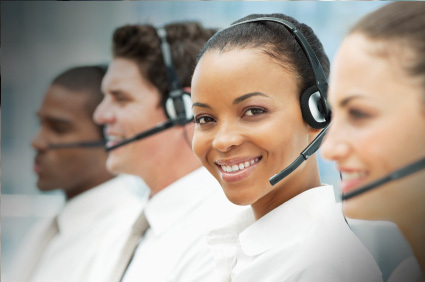 Learn more about B2C Telemarketing. Automated call answering using interactive voice response (IVR) is an effective, inexpensive way to process large numbers of inbound calls. Outbound calling using an IVR can deliver offers quickly at low cost, generating inbound leads and sales. Learn more about Automated Telemarketing. Any business using telemarketing to sell products or services over the phone is required by law to use a third party verification service. Learn more about our Third Party Verifications Services. The above services represent only some of the services available from AnswerNet call centers. If you don't see the call center service you need listed on this website contact us now for a free consultation.